Ballet is a form of dance, which has a style of acting in mime set to certain music. A lot of its terminology is in French, as it has its roots in France. Highly trained ballet dancers, with their discipline and dedication, have the ability to transport the entire audience to another world. Their hard work and skills result in superb, flawless, and truly beautiful performances. 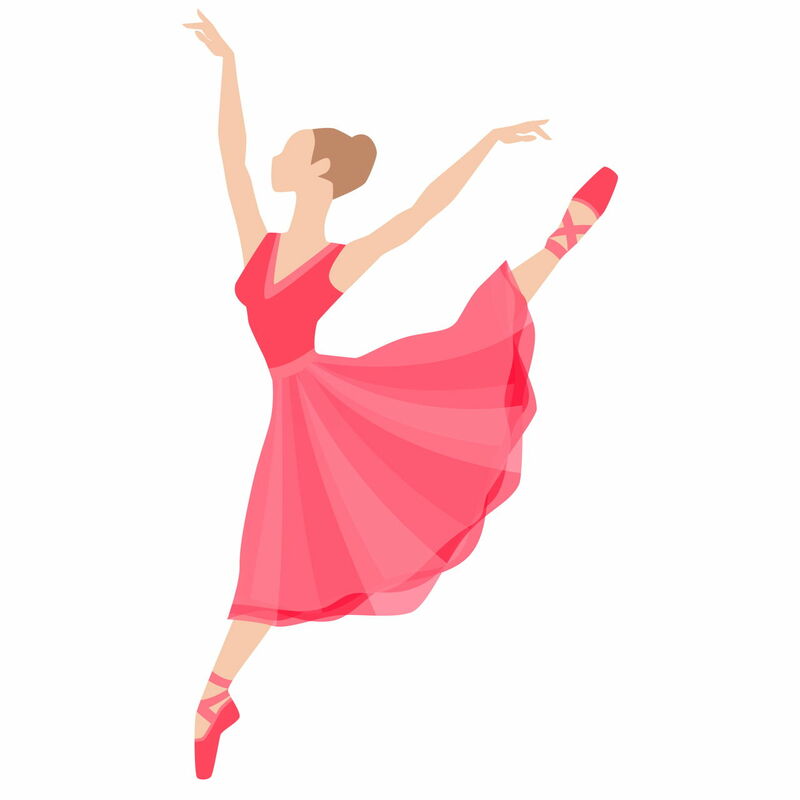 Learn about all the fascinating ballet dance moves in the following article. The basics start from the standing positions which are easy to learn. These can be useful for other dance styles too, as ballet is considered as the foundation of many other forms. Given below are some basic positions that you can practice at home. These need a lot of patience and hard work. If you are serious about learning ballet, read on to know further moves. There are two basic moves which can be practiced by any beginner who is thorough with the first five positions of ballet. Position 1: Keep your heels touched together in a straight alignment, and knees touched with legs straight. Your feet should be in a 'turn out' position. This is the basic position for a ballet move. Position 2: Keep your feet turned out straight like in the first position, but your heels should be apart. Position 3: When your feet are aligned in a turn out position, keep one foot to the front, and the heel close to the arch of the hind foot. Position 4: Keep your feet in the turned out position, and place the heel of one foot next to the toes of the other one so that the legs are crossed. Position 5: This is similar to the fourth position, but keep both your feet together. This is the passe that you need to balance on as long as you can. Take the first standing position. Raise your right leg up, and touch your toes to the left leg knee so as to form a 'P' with your legs. Lower your right leg to the first position, and repeat the same steps with your left leg. Try to hold your developpe as long as you can. Pull the right leg up, and bring the knee as close as you can to your body. Start by standing in the first position as mentioned above. Raise your right leg in a passe as discussed above. Extend your leg from the knee gradually, till your right leg is outstretched completely, with your toes pointing towards the ceiling. Gradually lower your leg back to the passe by reversing the motions, and put your right leg back in the first position. Perform a passe with your left leg. After you are proficient with the above mentioned basic moves, you can learn some advance moves which can add the grace to your ballet. This is the position of your body when it is supported on one leg. Here, the other leg is extended behind your body with the knee straight. This is a combination of steps where you keep your calves together, and glide on the floor with your feet. It is also known as 'massaging the floor with your feet'. This means 'to melt'. In this move, you lower your body by bending one knee, while the other supporting leg remains erect. It is the quick turning of the body on the toes of any one of your legs. The balancing leg is kept in turning motion, whereas the other leg is extended and brought close towards the knee of the balancing leg recurrently. This is done to attain grip and speed. This is a long jump, starting on one leg and landing on the other. This involves doing full leg splits in mid-air during the jump, with your arms extended diagonal to each other. This move involves smooth, continuous bending of the knees when the feet are in a turned out position, with heels of both the feet touching. This is done on two feet, unlike the fondue which is done on one foot. A split is a position of legs when both your legs are configured to a straight angle of 180 degrees. This can be done in mid-air or on the floor. These dance moves are commonly used in every recital, and are a must for all the performers. Ballet not only shows the flexibility in your body, but also your hard work and dedication towards the dance. It is commonly known as the dance of substance, as it has emotions which involve the audience with the dancers.